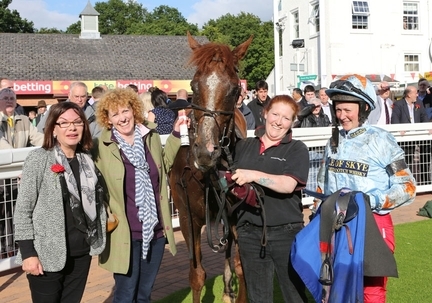 The most poignant of results was enjoyed at Hamilton today when this season’s NH ladies championship runner-up Catherine Walton donned her red “devil” breeches in the Saints and Sinners ladies race. Following the field at the rear on LILLY INN (name after a local hostelry), the partnership made steady headway to lead a furlong from home and score easily from Jacqueline Coward on HI DANCER. 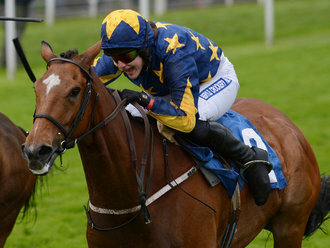 With the racing community struggling to come to terms with the recent loss of rising star Campbell Gillies, rarely has there been a more emotional victory on the racecourse and Lucinda Russell paid tribute to both Campbell and all her team in her interview with Gordon Brown following the race. This was Lucinda’s first runner since the death of her stable jockey, who had ridden Livvy Inn in his only other win in a novice hurdle at Kelso 3 years ago. 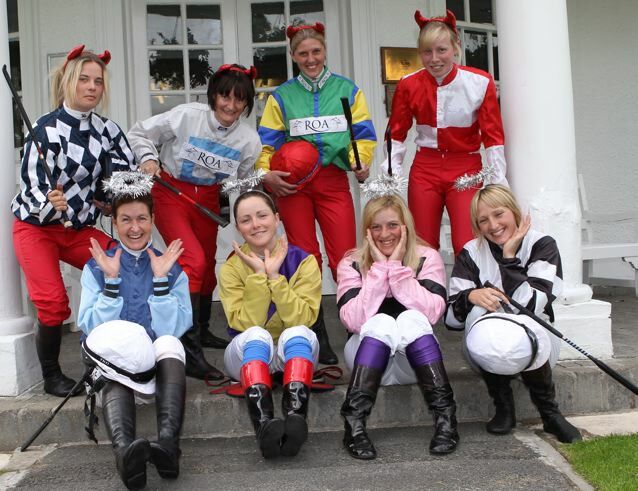 Subject to a 4 o’clock inspection this afternoon following torrential rain, Hamilton Park stage a ladies Saints and Sinners race this evening when, thanks to the imagination of Clerk of the Course Hazel Peplinski, lady jockeys riding horses with even numbers will wear their usual white breeches representing the Saints whilst jockeys on horses with odd numbers will wear red breeches representing the Sinners! A dress rehearsal was held recently there and the photo above shows some of our good and bad girls! 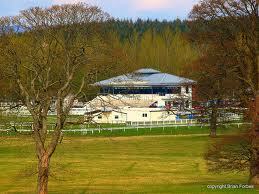 Hopefully this evening they will all ride like the devil! A day before his 22nd birthday, rising star Campbell Gillies has tragically lost his life as the result of an accident whilst on holiday in Corfu. 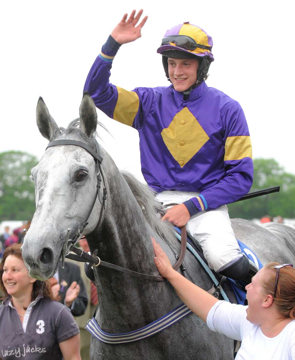 Campbell was a hugely popular member of the weighing room who was just beginning to make a name for himself having enjoyed his best ever season with 38 winners including his first Festival winner with Lucinda Russell’s talented but ill-fated Brindisi Breeze. His loss will be keenly felt throughout racing. As a mark of respect, jockeys wore black armbands today and racecourses staged a period of silence. 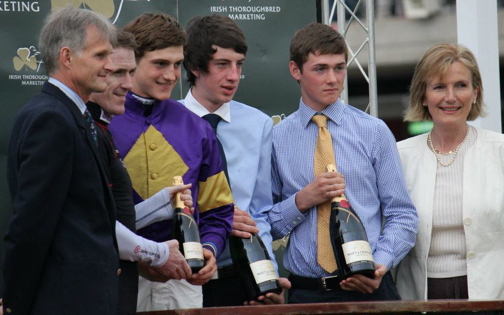 The Amateur Jockeys Association would like to express its deep sorrow and extend its sincere condolences to the family and many friends of Campbell. 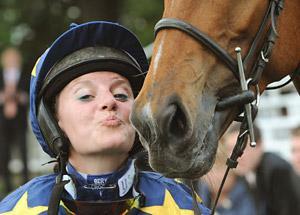 Amateur jockeys are reminded that permits to ride expire on Saturday 30th June 2012! Application forms have been posted to all current licensed amateur jockeys and completed forms should be returned to Licensing Team, BHA, 75 High Holborn, London WC1V 6LS AT LEAST 2 WEEKS IN ADVANCE OF THE DATE FOR WHICH THEY ARE REQUIRED. Many congratulations to Serena Brotherton and Alyson Deniel who won the 1st and 2nd divisions respectively of the Beaumont Robinson Ladies Derby at Ripon today in testing conditions. Serena enjoyed a comfortable win on Sula Two for Ron Hodges by 3 1/4 lengths (on soft ground) from Becky Brisbourne on Aegean Destiny with Alice Mills and Lava Steps 6 lengths back in 3rd. The 2nd division on deteriorating ground now classed as heavy saw a more dramatic race, with Aly Deniel tracking the field for much of the race and make steady headway through the final 4 furlongs to win by 3 lengths for Richard Whitaker on Shaloo Diamond from Serena Brotherton on Politbureau with Alice Mills again settling for 3rd place with Ritsi 6 lengths behind. 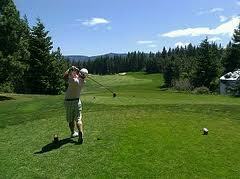 Pack golf clubs & saddles for Perth 31st July! 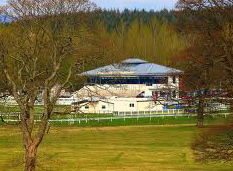 As part of the 2 day golfing/racing meeting at Perth on 31st July, a new Amateur Riders Handicap Hurdle 0-115 over 2 miles with prize money of £4,000 is now programmed on the evening of Tuesday 31st July. Racing also takes place the next evening, 1st August, and a GOLF TOURNAMENT with a £1000 first prize for the winning team will be held. Points will be awarded for winners and placed horses over the two fixtures and these points will be added to the Golf Team scores. Fun is assured! Many congratulations to Jacqueline Coward who became the first lady jockey ever to win the Queen Mother’s Cup with the same horse in consecutive years today with her trainer uncle Tim Easterby’s Crackentorp. (Francesca Cumani followed her mother’s win of 2004 by winning with Idealistic (2005) and Soulacroix (2006).) 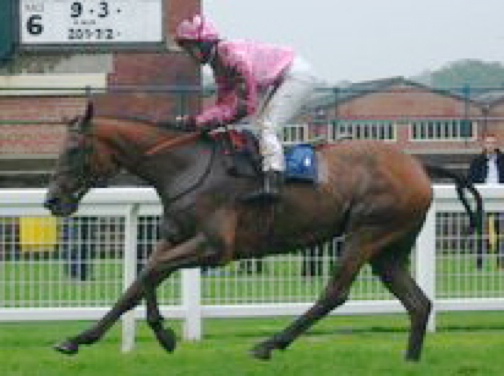 Crackentorp clearly loves York as he was also third in this race in 2010. The race result was a true Yorkshire victory with fellow Yorkshire girls Rebecca Smith and Samantha Drake finishing 2nd and 3rd. 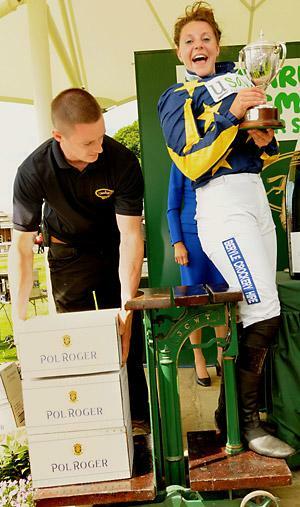 Many congratulations to Emma Sayer who sadly was unable to attend Stratford on the evening of 1st June to collect her magnum of champagne but with 11 winners ridden under Rules this 2011-12 season, Emma has won not only the Amateur Lady Jockeys NH Championship but also can claim to be the season’s Overall Amateur Champion Jockey of the NH season – what a fantastic achievement! Well done also to runner-up with 6 wins, Catherine Walton. 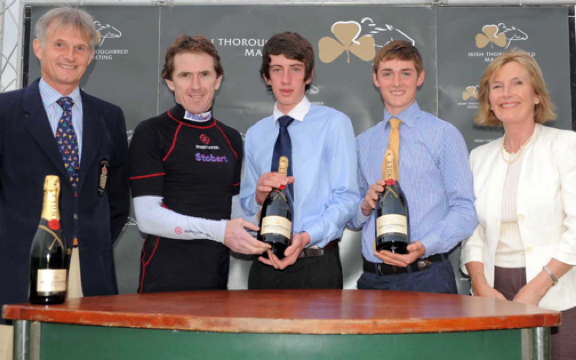 Many congratulations also to Robbie Williams (pictured middle) and Jack Quinlan who share the men’s title with 10 wins apiece and received their magnums from The Champ and Sports Personality of the Year AP McCoy at Stratford. Runner up to Robbie and Jack was Rob Jarrett. As soon as he had collected his bottle, Rob was legged up to ride the winner of the next race Rumbury Grey in the Novice Champion Hunterchase making his tally 8 wins for the season. Jack turned conditional early on in the season and Robbie followed the same path a few days after Stratford, having his last ride as an amateur in Mannheim (Germany) in a Fegentri race that weekend where he finished 2nd. We wish both Jack and Robbie every success in their professional careers.